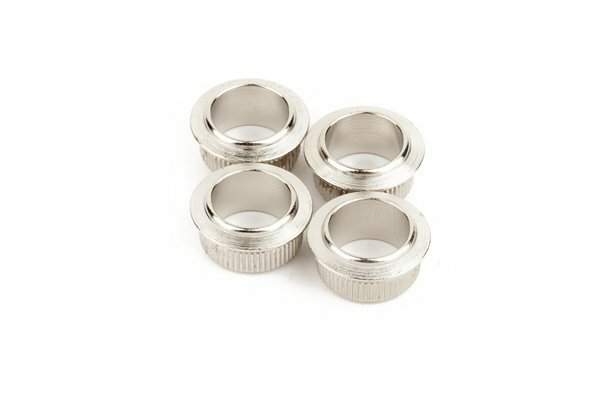 Genuine Fender tuning key bushings. 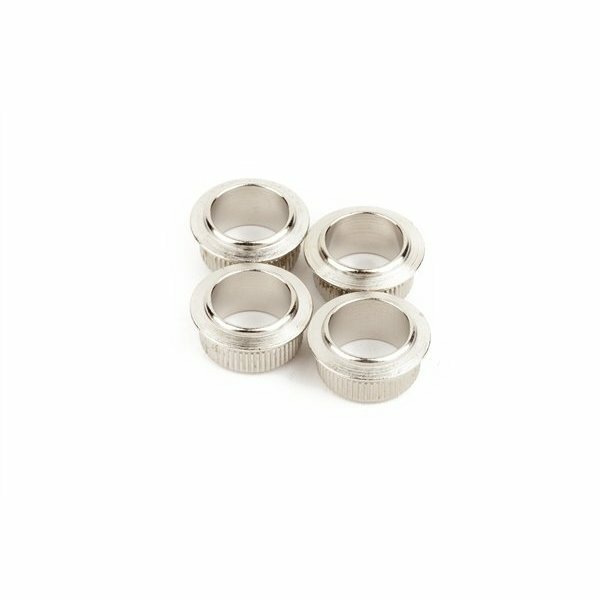 Made for Fender and used on a variety of vintage and contemporary models. Press-in bushings for vintage-style tuning machines. Plated steel construction. Set of 4. Dimensions: Outside diameter .875", inside diameter .743". Height: .419"
Fits American Vintage (US), Classic and Road Worn Series (Mexico), Power Jazz Bass (Mexico), and Cabronita (Mexico) Series Basses.